Combat airpower is a combination of the effects which can be delivered by a combat fleet, not simply individual assets. India has a mixed fleet and working fleet integration is a key issue which affects its combat power going forward. When considering modernization of the fleet, a clear focus needs to be upon how the new acquisition can work with India and its partners in shaping more effective combat power to serve Indian national interests. At the same time, the Indian government is clearly concerned with the ability of Indian industry to grow in the aerospace sector and to enhance its capabilities to support the broad evolution of Indian capabilities. The two considerations – combat power and industrial capacity – clearly come together with considerations of supportability and sustainment. How effectively can the Indian Air Force resupply and maintain its air combat elements? And how might Indian industry evolve in ways to do a better job providing integrated support to the Indian Air Force? India is looking at a number of options for its next round of aircraft acquisition and one of those candidates is the F-16. Although critics argue that the F-16 is an older plane, in fact given the software being integrated onto the F-16 it is evolving along with the overall fleet being flown by the USAF, not exactly yesterday’s airpower force. The F-16 is flown by a great number of Air Forces and key parts are built worldwide. This means that India is not tied to the United States and its operational or manufacturing experience. 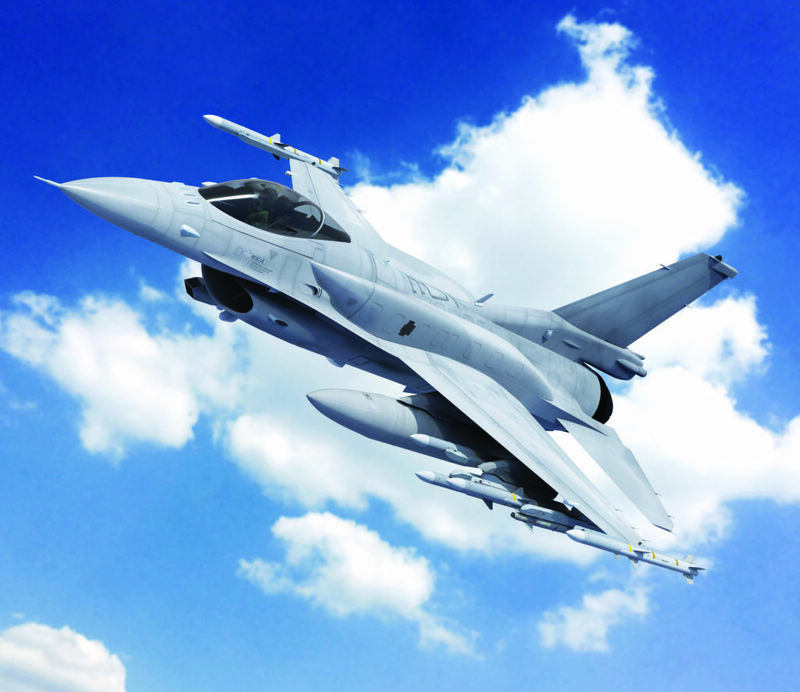 Rather, the F-16 built in India could leverage a global enterprise as well as expand its global working relationships. For example, the UAE Air Force flies both the most advanced F-16 to date, the Block 60, as well as French combat aircraft. The Indians flying Rafales and F-16s might well find a working relationship with the UAE in shaping interactive concepts of operations or the development of mutually beneficial technology to enable their air combat forces. The “Made in India” part of the F-16 engagement would clearly be about opening the Indian air combat aperture to a variety of F-16 global partners. And that brings up the impact of USAF modernization as well. The USAF is structurally modernizing a significant part of its F-16 fleet with the so-called SLEP program that adds 50% additional service life up to and beyond 12,000 flight hours. At the same time, they are introducing an advanced Northrop Grumman radar, the APG-83. The radar on the F-16 Block 70 and the spillover effects from the F-35 program as well are important considerations when buying a Block 70. The software on the Block 70 radar has more than 95% in common with the APG-81, the AESA radar that’s on the F-35. And the hardware is 75-80% in common. Collectively, there is about 85-90% in common between the Northrop radar on the F-35 and the F-16 Block 70. And this obviously has a significant impact upon both the path and cost of modernization. The U.S. and the F-35 partners will invest significantly in the evolution of the F-35 radar, which will have an impact as well on the Block 70 radar modernization as well. This radar, the latest of four fighter aircraft based electronically scanned array fire control radars from Northrop Grumman, shares much in common with the F-35 radars as well, which means that when it comes to the evolution of the sensor-EW-command functions provided by advanced AESA radars. The Indians would be benefiting from USAF combat learning with the new systems and as well as those global partners engaged in a similar modernization effort. Beyond the USAF, this may well have been part of the decision-making process with air forces in Taiwan, Singapore, South Korea, and currently being contemplated by Greece that have led to several hundred F-16 upgrades with this radar. And it is clear that the impact the F-35 will be significant upon the evolution of air combat, something I have labeled, the renorming of airpower. An Indian Block 70 clearly would be a beneficiary of this evolving air combat learning process as new radars and sensors enter the air combat force, with the new Northrop Grumman radars as an open-ended evolving combat capability. Put in blunt terms, the IAF could choose a platform qua platform in terms of its organic capabilities at the time of acquisition or it could buy a enterprise enabled platform which is part of a global enterprise, with several key air combat forces worldwide, and flying with key elements of the ongoing air combat revolution driven by the F-35. Made in India could be part of engaging in the global enterprise or it could be narrowed down to assembling a combat aircraft in India itself as the focus of effort. Being part of a global F-16 force has many other advantages. There are many F-16 pilots worldwide; there are a variety of training centers; and if the IAF needed more aircraft in a crisis they could go to an F-16 partner and find ways to lease aircraft as needed as well. With a global inventory, there is always a possible of a rapid plus up as well in case of crisis. In short, the F-16 considered as a force multiplier for the Indian Air Force has many advantages. It is not just about the platform but the systems onboard the aircraft and the core work which the USAF and F-35/F-16 partners are doing worldwide to get integration between the new fifth generation aircraft and 4th generation aircraft. As there are many partners involved, India would have the opportunity as an F-16 user to interact with a wide variety of partners in the learning curve of evolving fifth generated enabled capabilities. It is about the learning curve with regard to integrated with advanced air forces which will be a key part of the upward push on Indian airpower modernization. Being an F-16 partner would be a good enabler of such an effort. This article was first published by India Strategic.